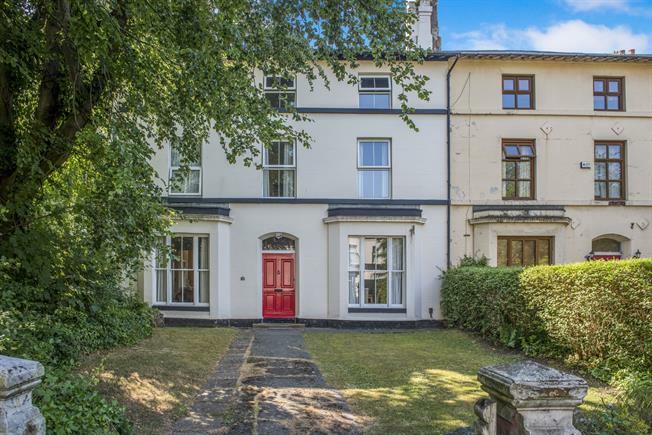 7 Bedroom Terraced House For Sale in Liverpool for Offers in excess of £260,000. Entwistle Green are very pleased to welcome to the sales market this magnificent seven bedroom property that is located in a quiet and peaceful area with very little through traffic. The property was built in 1850 and has been immaculately cared for and modernised in the correct manner. Externally, the property offers a large and beautiful south facing garden area whilst offering you a peaceful retreat. Internally, the accommodation comprises of, an entrance hall, lounge/living room, a separate dining room, a kitchen/breakfast room, a downstairs toilet, seven bedrooms, an en-suite, a bathroom, patterned double glazing and central heating throughout. This is quite simply stunning. Please call 0151 220 4443 for further information. Single glazed hardwood sash window. Radiator and gas fire, original floorboards. Single glazed door, opening onto decking. Single glazed window. Radiator, original floorboards. Single glazed hardwood sash window facing the rear overlooking the garden. Radiator, tiled flooring. Granite effect work surface, fitted, bespoke, wall, base, wall and base, drawer and breakfast bar units, stainless steel sink, single sink and with mixer tap with drainer, range oven, gas hob, overhead extractor. Double glazed uPVC sash window. Radiator, original floorboards. Single glazed hardwood sash window. Radiator, laminate flooring. Single glazed sash window. Radiator, tiled flooring. Standard WC, sunken bath with mixer tap, pedestal sink with mixer tap. Double glazed uPVC sash window. Radiator. Single glazed sash window. Radiator, laminate flooring. Double aspect single glazed hardwood sash windows. Radiator, vinyl flooring. Touch flush, double enclosure shower and electric shower, pedestal sink.